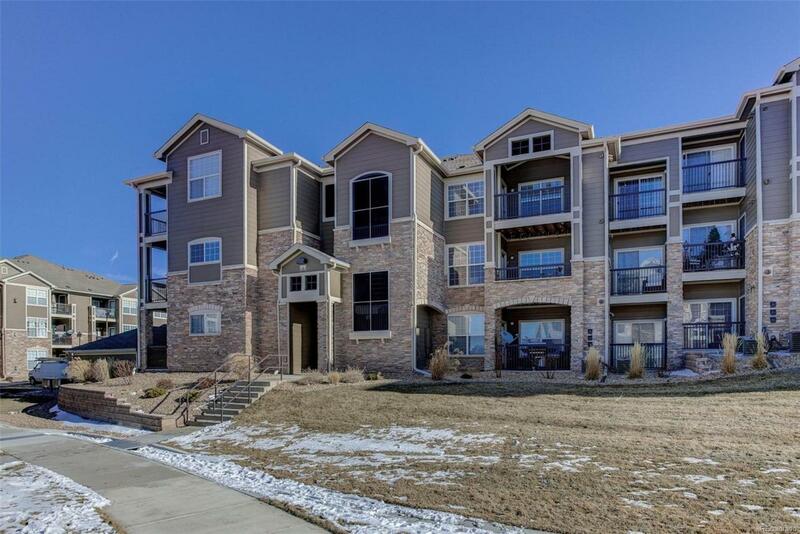 Charming top floor condo with vaulted ceilings, large windows & a spacious living room. The updated kitchen has granite countertops, gas fireplace & storage! There are 2 bedrooms w/lots of natural light, bedroom 1 has a walk-in closet. The floor plan's practical, bathroom large. Read on either of 2 balconys & enjoy mountain views. A 1-car garage's valuable & near -G-14:D. Amenities include a pool, exercise room & playground. Home warranty. Great opportunity!